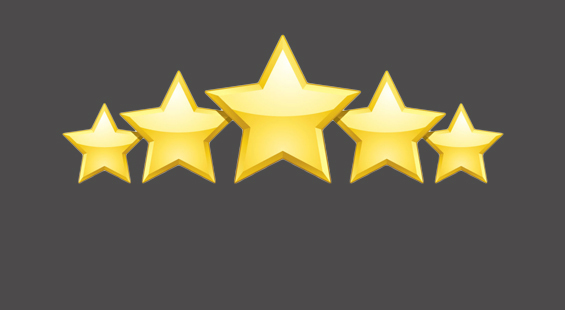 Carpet Doctor is dedicated to quality carpet repairs and motivated by customer satisfaction. Carpet Doctor is delighted to also offer you a wide range of hard wearing carpets to choose from at home. Just ask about our choose at home pattern book and measuring service by an expert carpet fitter in Tamworth. Carpet Doctor offers a cost-effective speedy and efficient carpet repair service for a variety of damaged carpets including: carpet burn repair, patch repair, fixing frayed carpets, snags, stains, wrinkles, rips and pet damaged carpets at home. 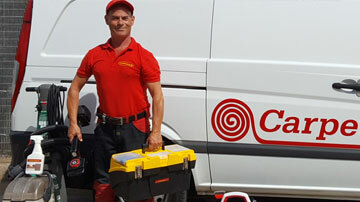 The Carpet Doctor works van carries a wide range of carpet samples and accessories including underlay, gripper rods and profile door trims for that perfect installation. Carpet Doctor uses only professional tools and materials for a carpet repair and cleaning service. 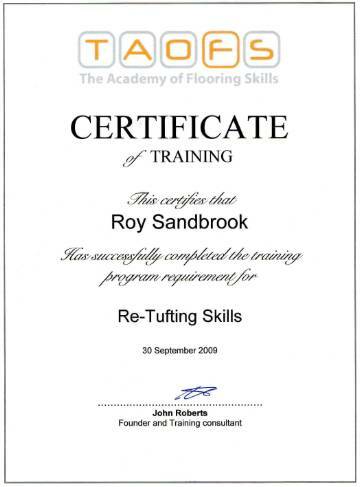 For a small carpet repair, Carpet Doctor can provide a re-tufting service. Tufts of yarn can be carefully plucked from the edges of the carpet and re-tufted into the damaged area. Assuring clients of a perfect colour match and a professional invisible repair. For a match and patch carpet repair, a piece of carpet can be found inside a closet or wardrobe If a donor carpet can not be found, Carpet Doctor can provide a patch of carpet from a selection of carpet samples on the works van. Why replace? Repair. 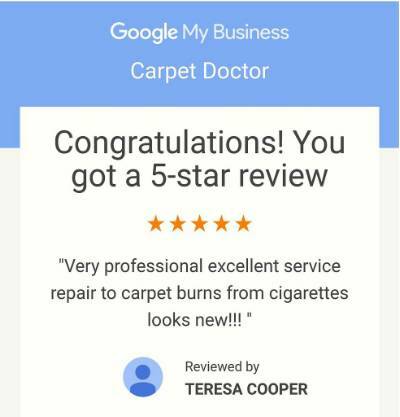 This is what you are saying about us..
" I searched for a carpet repair near me and found Carpet Doctor. " Mrs Atkinson. Birmingham.
" Roy is fantastic and very professional. He had carpet repaired in no time at all." Sharon Pearce.
" 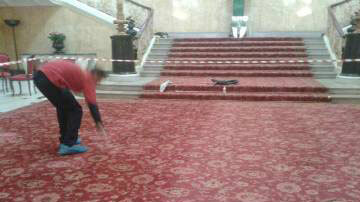 Roy did a fantastic job you cant even tell that the carpet has been repaired thank you so much. 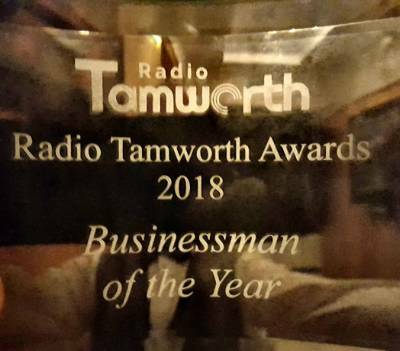 Carpet Doctor is truly honoured to win the Businessman of the Year award at the Radio Tamworth awards ceremony held at Drayton Manor in Tamworth. The award was presented to Roy Sandbrook by popular TV & Radio personalities Paul Ross and Alex Farrell.
" Wow, thank you. I am deeply humbled to receive this award for Businessman of the Year "
Carpet repair, damaged caused by cat.